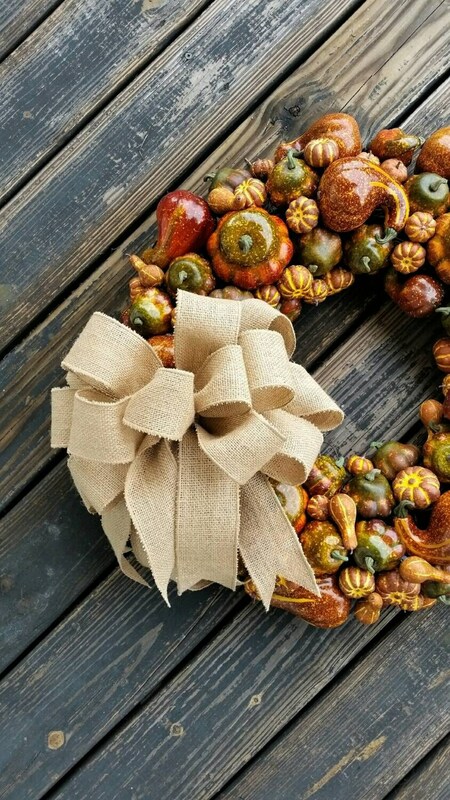 Pumpkins are a time honored Thanksgiving and fall tradition. We flavour our coffee with pumpkin spice, adorn our front porch with Jack-o-lanterns and pumpkins, and bake yummy pumpkin pies. 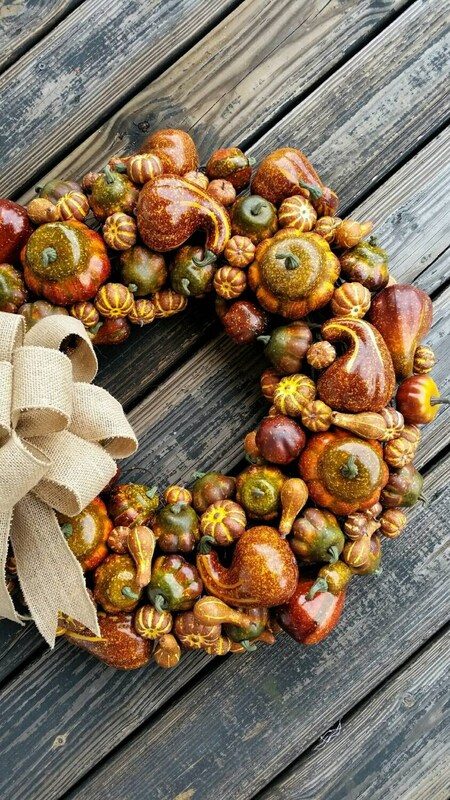 I wanted to capture those traditions and create a truly beautiful decoration celebrating Thanksgiving, fall, and pumpkins. 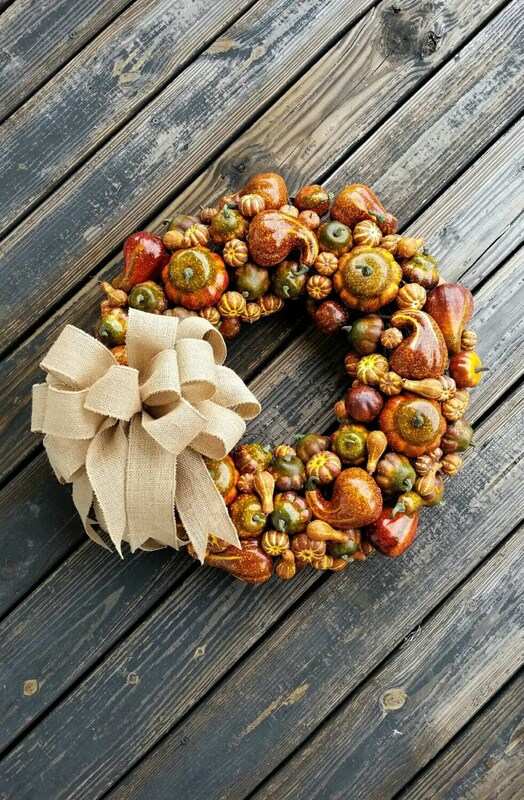 Dozens of pumpkins, gourds, and squash make up this simply elegant pumpkin and acorn wreath. The range of colors are truly amazing with earthy brown and golds to faint touches of reds and greens. 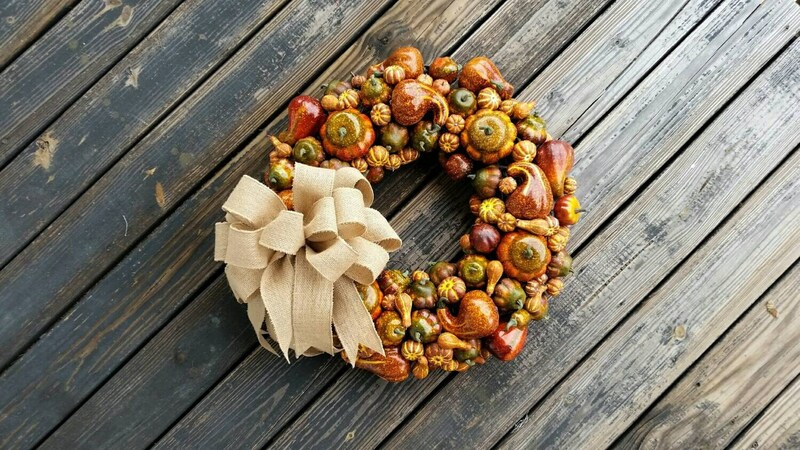 The base is a simple grapevine wreath form. 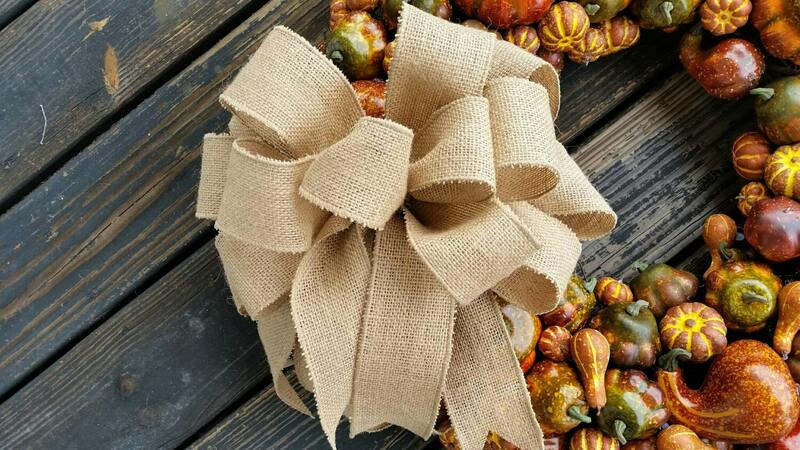 A simple but large burlap bow accentuates the pumpkins making is a truly beautiful piece which measures approximately 26 inches tip to tip.